As a Virginia criminal lawyer, it is essential for me to be sensitive to the specific affects of Virginia criminal and DUI case dispositions and sentences on immigration status, in this area dubbed crimmigration. Northern Virginia and the greater national capital region have a high percentage of non-United States citizens of wide-ranging backgrounds, and such numerous immigration categories as permanent residents/green card holders; holders of visas for professionals, diplomats, students, and temporary protected status; and those without legal immigration status. This international diversity adds to the stimulating experience of living in the national capital area. Analyzing the possibly adverse immigration outcomes from criminal convictions and sentences can be so intricate and complex that the phrase crimmigration has been coined to address this criminal law-immigration law overlap. Hot Sheet/general summary and more detailed overview sheet; Crimes Against the Person; Controlled Substance/ Drug Offenses; Traffic/DUI Offenses; Firearms Offenses; Fraud Offenses; Property Offenses; Inchoate Crimes; and Other Common Crimes. As a Virginia criminal lawyer, I know that nothing beats the client- and case-tailored advice of a relevantly qualified immigration lawyer on crimmigration matters. CAIR’s forgoing Virginia crimmigration links are great for being a jumping point for doing the crimmigration analysis, for spotting matters of particular concern, and for encouraging Virginia criminal lawyers to consult with quality crimmigration lawyers as needed. 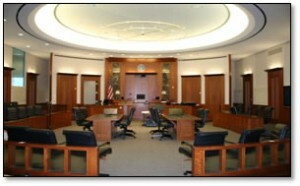 In sum, non-United States citizens’ criminal lawyers must be sensitive to possible immigration fallout from the outcome of the criminal case. Northern Virginia criminal lawyer Jon Katz has successfully defended hundreds of non-United States criminal defendants. To discuss your case in confidence with Jon, please call his staff for an appointment, at 703-383-1100.